Welcome to the Gluaiseacht newsletter! We're hoping to have editions out every two or three months or so from now until the fall of capitalism! 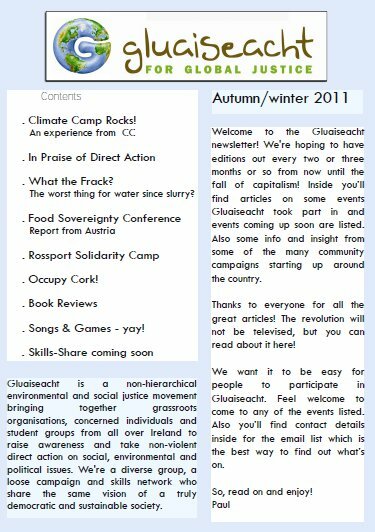 Inside you’ll find articles on some events Gluaiseacht took part in and events coming up soon are listed. Also some info and insight from some of the many community campaigns starting up around the country.